Typically the cicadas start emerging out of the ground ,Cicadas are a terrestrial insect that fly around looking for mates. A loud clicking or buzzing sound indicates their presence. 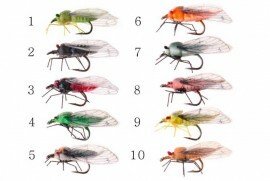 On warm windy days and with their erratic flying, many cicadas end up on the water where some of the best fly fishing can be had. Cicadas are simple insects whose life cycle differs from the regular aquatic insects after mating the female cuts slits into the bark of a twig, and into these she deposits her eggs. She may do so repeatedly, until she has laid several hundred eggs. When the cicada eggs hatch, the newly hatched nymphs drop to the ground where they burrow into the moist roots of the trees and other plants. Cicadas live on plant material until they are ready to hatch into adults. 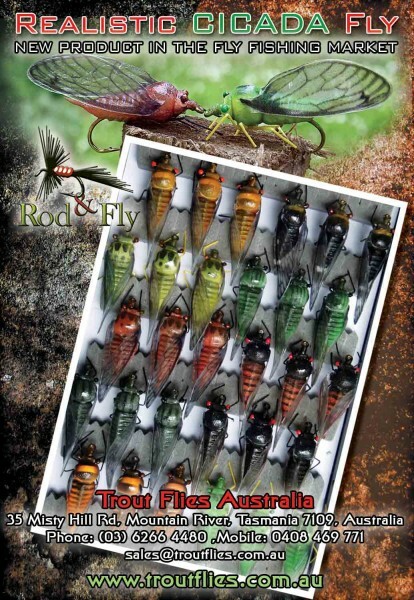 Cicadas, are flying insects and therefore are capable of landing on any part of the river. Trout and Bass will zoom in on the impact of these large terrestrial insects as they plunge into the water. 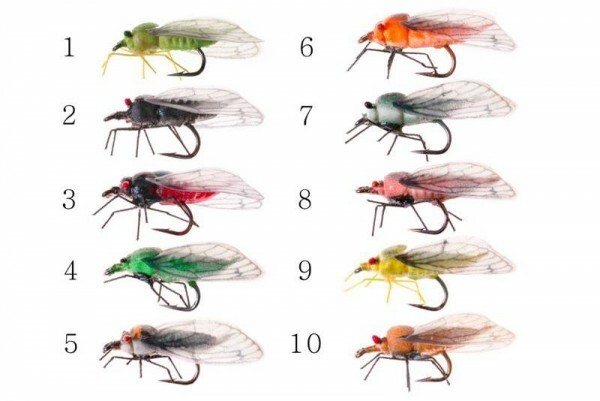 When casting with cicadas presentation is most important. Do to mend your cast to allow for long natural drift. Be ready as some trout will react quickly and hit the fly as soon as it lands on the water especially on small back country streams but generally it’s very important to have long drag free drifts.